Comfort and sassy in one style! 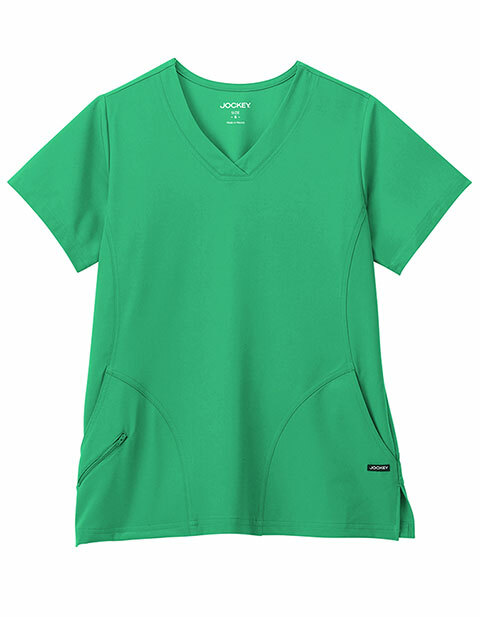 This professional styled Jockey Classic Women's 3-Pockets Paneled V-Neck Top is all that you desire for. 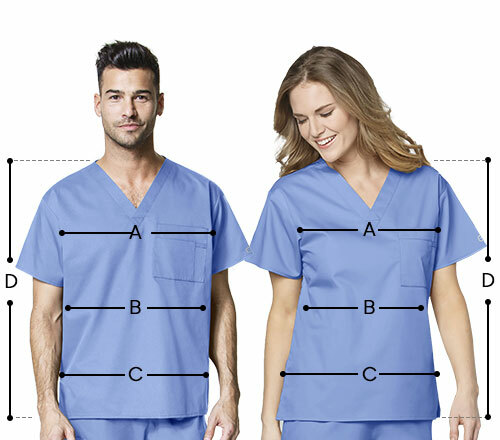 This top features v-neck with two deep rounded edge pockets and signature zipper pocket that gives better storage. Short sleeves, double needle topstitching and side vents complete the look of this top. It's fabric is made up of 72% Polyester, 21% Rayon, 7% Spandex. Center back length: 26"